Four Palestinian young men were injured in Silwad town, to the east of Ramallah, at the hands of Israeli occupation forces (IOF) on Saturday. The PIC reporter said that one of the youths was hit with a live bullet in his foot while the three others were hit with metal bullets during the confrontations that erupted in the town since the early morning hours of Saturday till the evening. He said that hundreds of young protestors threw stones and Molotov Cocktails at an IOF post west of Silwad. He added that the soldiers responded by firing teargas canisters to disperse the youths. The reporter said that the angry demonstrators used rocks to close the Nablus-Ramallah road, trekked by IOF soldiers and settlers. IOF soldiers killed a 15-year-old Palestinian child, carrying American citizenship, in similar confrontations in the same area on Friday evening. A curfew was imposed Friday evening in the Old City in occupied Jerusalem while Israeli forces intensified presence throughout its neighborhoods as part of Israeli measures to suppress the ongoing and escalated clashes in the occupied city. The Old City has been witnessing along the past week widespread violent clashes, described as unprecedented since the second intifada, which resulted in the injury of an Israeli officer in his face after being stoned by angry protesters. Dozens of Jerusalemites were also injured with rubber bullets during the clashes while others suffered breathing problems after inhaling tear gas bombs. 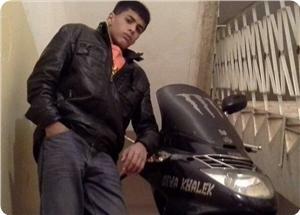 Two youths were nabbed during the clashes after being brutally attacked and severely beaten. In the same context, Israeli police stormed the mourning tent of the martyr Abdul Rahman Shalludi in Silwan neighborhood which led to the outbreak of clashes between angry youths and IOF soldiers. The clashes extended to the neighboring areas including Ein Loza, Ras Amoud, Beit Hanin, and Shufat neighborhoods, while armed clashes were reported to the north of Qalandia checkpoint. Meanwhile, nearly 30 people were shot and injured by rubber bullets while hundreds suffered breathing problems after inhaling tear gas on Friday evening during clashes that broke out in Issawiya town. Seven members of Hamdan and Jamjoum families were injured when Israeli forces heavily fired tear gas bombs inside their homes during the clashes. Along the same line, a woman among two citizens was injured by rubber-coated metal bullets while dozens suffered breathing difficulties during clashes in Sawana neighborhood in occupied Jerusalem. Meanwhile, the IOF soldiers arrested the Jerusalemite field researcher Ahmad Sub Abu Laban while practicing his work in documenting clashes in the Old City. Eyewitnesses confirmed that Abu Laban was subjected to brutal attack and assault before his detention. The Israeli Occupation Forces (IOF) suppressed on Friday the peaceful marches organized throughout West Bank in support of al-Aqsa Mosque. Dozens of injuries were reported during the confrontations. Seven youths were injured with live ammunition when IOF soldiers quelled a large march against the separation wall in Beitunia, west of Ramallah. According to the PIC reporter, the youths stoned Israeli border guards near the apartheid wall where a nearby military watchtower was entirely burned during the clashes. In their turn, Israeli forces fired a new type of rubber bullets that inflict more severe injuries, and heavily used tear gas bombs against the angry youths. Similar clashes were reported in Bil'in and Nabi Saleh villages that resulted in the injury of dozens of Palestinians and foreign activists. Among the injured, many suffered respiratory problems. 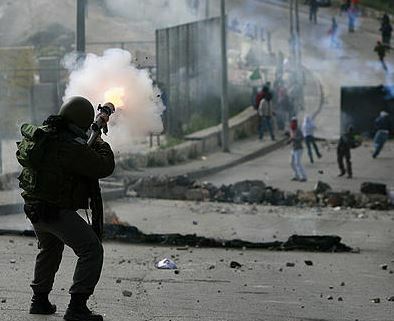 Tear gas bombs were heavily fired during violent clashes that broke out in Sinjel village, north of Ramallah, while a young man was injured with a live bullet during confrontations in Silwad to the east of the city. In response to Israeli violations in al-Aqsa Mosque, hundreds of youths marched to Beit El settlement which led to violent clashes with settlers. Palestinian protesters threw Molotov Cocktails at an Israeli military vehicle that tried to suppress the youths. The PIC reporter said that a young man was directly shot by IOF soldiers that randomly opened fire towards the angry protesters. The wounded was transferred to hospital with medium injuries. Along the same line, peaceful marches were organized in Jalazoun refugee camp on Friday and continued till Saturday morning in protest against Israeli brutal practices in occupied Jerusalem. Seven people were wounded by rubber-coated bullets in the camp when IOF soldiers intervened to disperse the march. A seven-year-old child among dozens was injured at the entrance to the southern West Banker city of al-Khalil when Israeli forces heavily fired rubber-coated metal bullets and poison and tear gas bombs. In Jenin, dozens suffered breathing difficulties at dawn Friday in Oja town when IOF soldiers violently broke into the town and heavily fired tear gas and sound bombs at the citizens. Combing operations were also carried out during the raid. Israeli occupation forces (IOF) raided Aida refugee camp, north of Bethlehem, after midnight Friday and served a summons to a young man. Local sources said that the Israeli troops were met with a hail of stones and empty bottles and responded by firing teargas and sound bombs before retreating from the camp. Earlier afternoon Friday, IOF soldiers arrested a young man at the northern entrance to Bethlehem city in the wake of violent confrontations in the city. Meanwhile, similar confrontations were reported in Salfit after IOF soldiers, along with an intelligence officer, broke into the city at dawn Saturday and served summonses to two liberated prisoners. 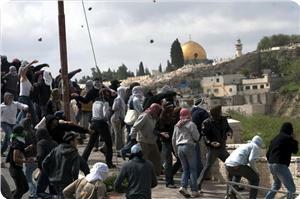 Locals said that inhabitants threw stones and empty bottles at the troops and chanted pro-Aqsa slogans. In a related incident, Jewish settlers opened fire at a Palestinian car while passing along the Nablus-Qalqilia road on Saturday morning. Eyewitnesses told the PIC reporter that a Palestinian taxicab came under settlers’ fire while carrying a Nablus family to Qalqilia, adding that its windows were smashed in the incident but no casualties were suffered. Israeli soldiers violently attacked, and kidnapped, on Friday evening, a Palestinian field researcher in the Old City of occupied East Jerusalem, as he was documenting clashes taking place between dozens of soldiers and local Palestinian youths. The kidnapped researcher, Ahmad Sob-Laban works for a local human rights organization; he is also specialized in Israeli settlements' affairs. Clashes took place in different parts of occupied East Jerusalem, including Silwan, Jabal al-Mokabber and the Old City, while Sob-Laban was documenting the clashes before the soldiers assaulted him. At least 30 Palestinians were injured by Israeli rubber-coated metal bullets, while dozens suffered the effects of tea gas inhalation, including seven members of two families. The family members were injured after the soldiers targeted several homes causing fire in two homes, but the residents managed to extinguish the fire before it spread. The seven were moved to to a local hospital. The researcher, Sob-Laban, published numerous reports documenting Israel’s ongoing illegitimate Israeli settlement construction and expansion activities, illegal annexation of Palestinian lands, and various other violations. Dozens injured, Many Kidnapped In Occupied Jerusalem. Israeli occupation forces (IOF) shot and killed a 16-year-old Palestinian child in Silwad village, east of Ramallah, afternoon Friday. The boy Erwa Abdulwahab Hamid was taking part in protest marches in the village against Israeli violations in the Aqsa Mosque and the death of the Jerusalemite citizen Abdulrahman al-Shaludi, who was killed by settlers for allegedly running over a number of Israelis in what his family said was an accident. IOF soldiers violently quelled all similar demonstrations in various areas of the West Bank using teargas canisters and rubber-coated bullets causing breathing problems among many protestors. Two Palestinian fishermen from Baker family survived a gunfire attack by an Israeli gunboat off Rafah shores southern Gaza strip. The fishing boat was entirely burned during the attack. Local sources asserted that an Israeli gunboat chased the Palestinian fishing boat off Rafah shores before opening fire at it. Fortunately, the two fishermen managed to jump from their boat moments before being attacked. 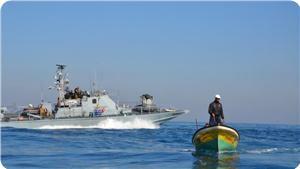 The Israeli gunboat opened heavy machinegun fire at the fishing boat until it burst into flames. 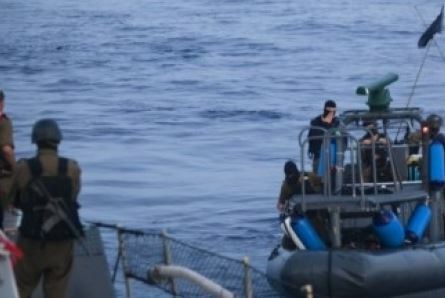 The Israeli naval forces did not comply with the Egyptian-brokered ceasefire agreement concluded between Israel and Palestinian resistance on August 26, 2014. Israel accepted, under the agreement, to allow Palestinian fishermen to sail within six nautical miles in Gaza Sea, but according to investigations conducted by the Palestinian center for human rights, all attacks on fishermen took place within the distance of six nautical miles. Dozens of Israeli rightists late Thursday protested at the site of a suspected attack which left a three-month-old baby dead, witnesses said. Protesters held aloft signs reading "Death to Arabs!" and "Revenge" by the Ammunition Hill light rail station in Sheikh Jarrah. There were reports of attempted assaults on Palestinians as they crossed the road in the area, with Israeli forces deploying to prevent such incidents. Medical sources have reported, on Friday evening, that six young Palestinians, and a 10-year-old child, were shot by live rounds, fired by Israeli soldiers during clashes near the ‘Ofer Israeli detention center, west of Ramallah. Local sources said hundreds of Palestinians peacefully marched to the area of the Ofer Israeli prison, built on Palestinian lands belonging to residents of Betunia town, west of Ramallah, before the soldiers opened fire. The attack led to clashes, and the army fired dozens of live rounds, rubber-coated metal bullets, gas bombs and concussion grenades, wounding the six residents, and the child, with live rounds, while many suffered the effects of tear gas inhalation. Also on Friday, Israeli forces shot and killed a Palestinian teenager during clashes in the village of Silwad, near Ramallah, in the occupied West Bank. Scores of Jerusalemite young men were detained by the Israeli occupation forces (IOF) while many others suffered injuries on Thursday evening in a wave of angry protests that broke out across occupied Jerusalem. Tension has been running high in Jerusalem as violent clashes between the Israeli occupation soldiers and Jerusalemite young civilians took place anew on Thursday. A number of Jerusalemite young men were rushed to hospitals to receive medical treatment for live bullet injuries they sustained in confrontations with Israeli soldiers in Silwan district. Palestinian medical sources said 12 Palestinian young men were wounded in the confrontations that erupted in Ras al-Amoud neighborhood in Silwan. The IOF stormed Jerusalem’s town of al-Tur and fired a hail of tear gas grenades on Palestinian homes, leading to dozens of suffocation cases among their residents. The Israeli occupation police also raided Bab Hatta, adjacent to the Aqsa Mosque after the Ishaa (evening) prayers and physically assaulted Palestinian citizens and sit-inners at and around the Mosque. The IOF further broke into al-Husari’s and al-Mouwaswes’s family homes and fired stun grenades and rubber bullets inside the houses. Jerusalemite sources said the IOF kidnapped four Palestinian civilians from al-Sa’diya neighborhood in Jerusalem’s Old City. Palestinian young men in Jerusalem intensified on Thursday their angry protests against Israel's violations in the city following the murder of 20-year-old Abdul-Rahman Shaludi by Israeli guards at a train station in Silwan district on the same day. Hamas Movement mourned in a statement issued Thursday the Jerusalemite young man Abdul-Rahman al-Shaludi, 23, who was suspected of running over a group of settlers in Sheikh Jarrah neighborhood in occupied Jerusalem. The Movement said that the incident was an expected and natural response to Israeli escalated violations against Jerusalemites and the holy sites in occupied Jerusalem. The statement hailed the legendary steadfastness of Palestinian worshipers in al-Aqsa Mosque, calling on the Palestinian people to defend the occupied and besieged city of Jerusalem and national constants. Hamas praised al-Shaludi family’s sacrifices and steadfastness in face of Israel’s illegal practices and attacks. The Islamic movement called for activating resistance and escalating confrontations against the occupation, stressing its adherence to resistance option till the liberation of Palestine. For his part, the leader in Hamas Movement Hossam Badran said that hitting a group of settlers in a train station in occupied Jerusalem was a natural response to the killing of a 5-year-old girl a few days ago after being deliberately hit by a settler’s car in al-Khalil. He called on the Palestinian people in the West Bank to activate resistance by all means against the occupation. An Israeli female settler was killed and eight others were wounded, two of them seriously, when a Palestinian young man ran over them near a light railroad station in occupied Jerusalem. The occupied city has witnessed over the past few days violent clashes and serious security conditions as Israeli settler attacks notably escalated against Palestinians and their properties most recently was last Sunday when a Jewish settler had deliberately driven his car into two Palestinian schoolgirls as they got off a school bus in the West Bank town of Sinjil, killing one of them and leaving the second in very serious condition. 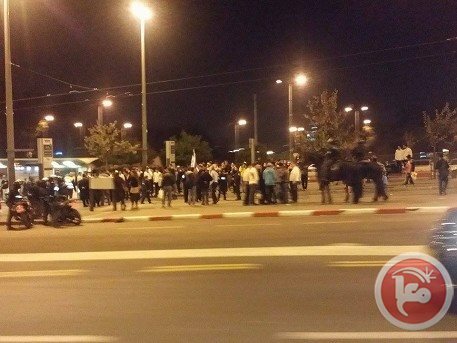 A renewed spate of violent clashes between Palestinian young men and Israeli troops took place on Thursday in different areas of occupied Jerusalem in protest at the killing of 20-year-old Abdul-Rahman Shaludi last night by Israeli guards at the railroad station in Sheikh Jarrah neighborhood. The confrontations started with the Israeli occupation forces (IOF) today morning in Attour neighborhood on Al-Zeitoun Mount after young men attacked Jewish outposts with stones and empty bottles, the Palestinian information center (PIC) correspondent reported. Similar clashes also broke out in Ras Al-Amoud neighborhood in Silwan district, south of the Aqsa Mosque, while the IOF intensified its presence in and around the area. 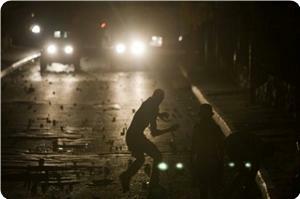 Issawiya district in the northeast of Jerusalem also saw violent clashes between young men and Israeli soldiers. Several areas of Jerusalem had witnessed last night violent protests that lasted until dawn following the killing of Shaludi. In a related context, different Israeli newspapers on Thursday warned in analytical reports of serious dimensions of the unstable security situation in Jerusalem, which has become much worse following the murder of the 17-year-old boy Mohamed Abu Khudair. The newspapers said that the accelerating decline of the security situation in the holy city could ignite a third uprising (intifada) in the West Bank, especially if Israel took steps to change the status quo in the Old city and around the Aqsa Mosque. Dozens of Israeli settlers attacked, overnight, several Palestinian homes in Sheikh Jarrah, in occupied East Jerusalem, and attacked residents, cars and homes with stones, sticks and sharp objects. The Wadi Hilweh Information Center in Silwan (Silwanic) said settler groups hurled stones at cars, homes and property, causing excessive property damage, before attacking and wounding several Palestinians. Silwanic said clashes, lasting all night, took place between Israeli soldiers and local Palestinians in various neighborhoods, alleys and towns, in occupied Jerusalem, especially in Silwan, south of the al-Aqsa Mosque, Shu’fat refugee camp, Mount Of Olives, and the Suwwana neighborhood. The Israeli army and police also placed concrete blocks closing various roads leading to Arab villages and towns, in occupied Jerusalem. Silwan is the town were Abdul-Rahman Shalloudi, 20, was shot and seriously injured, on Wednesday, by light-rail Israeli guards, and died from his wounds, shortly after midnight, at the Israeli Hospital. 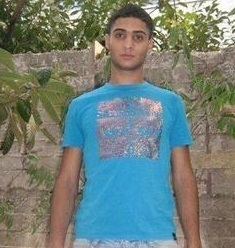 Shalloudi was shot by three rounds of live ammunition, one directly in his liver. Silwanic said a child, identified as Fatima Kayed Panjabi, 11, and her cousin Ahmad Wa’el Rajabi, 4, were shot by rubber-coated metal bullets, along with four other young men, who were shot by live rounds, and were all hospitalized. The army fired rounds of live ammunition at the beginning of the clashes that extended to various neighborhoods in Silwan, close to the home of Shalloudi, before the soldiers fired dozens of concussion grenades and gas bombs at local youths who hurled stones and empty bottles at them. Dozens of soldiers invaded the home of Shalloudi, and violently searched it, causing excessive property damage. Many Palestinians suffered the effects of tear gas inhalation after the soldiers invaded the Shu’fat refugee camp; the soldiers fired gas bombs, and rounds of live ammunition, especially after local protesters managed to burn a military tower. Israel is alleging Shalloudi “deliberately” rammed his vehicle into a group of pedestrians near the Ammunition Hill light rail stop, causing the death of a three-month-old Israeli infant, while at least six others were hurt. It is worth mentioning that the army kidnapped, on Wednesday evening, the 15-year-old brother of Shalloudi, after invading their home, and attacked their father. During the funeral ceremony of the Israeli child, Israeli President Rueveln Rivilin charged that the incident was an “intentional attack” fueled by what he called “murder and hatred” that led to the death of the child. He claimed that there is a “dangerous level of incitement” in the Arab streets in Jerusalem, and accused Arab leaders throughout the country of participating in the alleged incitement. Eyewitnesses to the incident said Shalloudi lost control over his car due to high speed, before he rammed into a group of Israelis waiting for the light rail. They said Shalloudi did not attempt to escape, and exited his car after the incident, before he was shot and seriously injured. 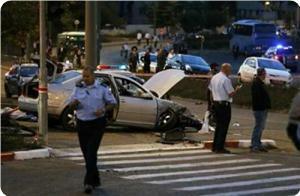 The Israeli police said nine Israeli pedestrians were injured, three seriously. Shalloudi is a former political prisoner who was released from an Israeli prison on December 22, 2013, after spending 16 months in detention. He was arrested again this past February, and was released a month later. The Israeli Occupation Forces (IOF) arrested at dawn Thursday 20 Palestinians from occupied Jerusalem and West Bank as they carried out a wide raid campaign in different towns of the northern West Banker city of Jenin. Israeli media sources said that 17 Palestinian citizens were nabbed throughout the West Bank for allegedly being involved in clashes that broke out in al-Khalil and Bethlehem. Two other Jerusalemites were detained overnight after being suspected of participating in confrontations in Silwan neighborhood in the Old City. 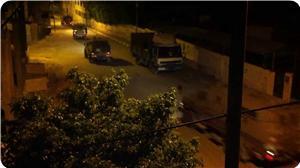 Israeli forces brutally broke into different towns of Jenin and raided a number of homes overnight. At least one citizen was arrested during the raid after violently storming and searching his home. As a result, violent clashes broke out in Yabad town to the south of Jenin Wednesday night when IOF soldiers broke into the town. 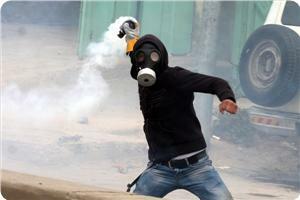 Dozens of people suffered breathing problems after inhaling tear gas fired by the invading troops. Combing operations were also carried out in Silat al-Harthiya village west the city after raiding it. The Israeli occupation forces (IOF) on Tuesday and Wednesday stormed the southern West Bank city of Bethlehem, nabbed eight Palestinians in Jenin, and opened fire on a group of unarmed students in Ramallah. Local sources said at least ten Israeli occupation soldiers raided a hill set near Tekoa village, east of Bethlehem city, and deployed at a tree-covered tract, owned by native Palestinian families and covering an overall area of some 1,000 dunums, in an attempt to block Palestinian farmers’ access into their olive orchards, Tekoa mayor reported. The Palestinian inhabitants of the area expressed concern that the move is most probably meant to pave the way for an Israeli bid to grab hold of the area and turn it into a new illegal settlement outpost. Meanwhile, the IOF at dawn Wednesday stormed Jenin city and nabbed eight Palestinian citizens after having raided their family homes and rummaged through them. 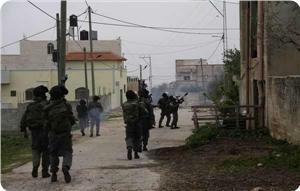 A number of Palestinian citizens were physically assaulted by the invading IOF troops in Zababda, east of Jenin. The IOF patrols further moved into Araba town, south of Jenin, and apprehended two Palestinian young men, identified as 19-year-old Montassar Abu Salah, and 20-year-old Fawzi Abdullah Abu Salah. Scores of Palestinian civilians were treated for breathing problems after they inhaled tear gas heavily discharged by the IOF in Zabouba town, to the west of Jenin. Earlier on Tuesday afternoon, the IOF arrested member of the Araba municipal council, Anwar Al-Arda, at a makeshift roadblock pitched along the Jenin-Nablus road. 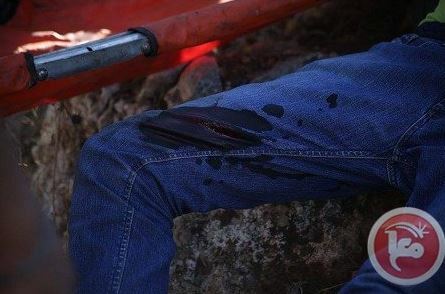 In a related development, a PIC correspondent said a group of Palestinian unarmed students sustained critical wounds in the heavy barrages of rubber bullets and tear gas unleashed by the IOF throughout the round of clashes that burst out Tuesday afternoon in front of the Israeli Ofer jail, west of Ramallah city. 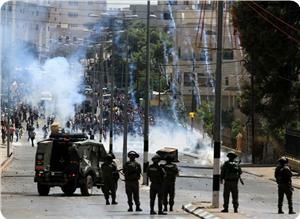 Palestinian medics said the ambulance crews received dozens of serious suffocation cases and rubber-bullet injuries. The IOF attack came moments after a group of unarmed students initiated a peaceful demo, organized by the Popular Front for the Liberation of Palestine. Israeli navy boats attacked, on Wednesday morning, a Palestinian fishing boat close to the Gaza shore in the Sudaniyya area, north of Gaza City. Eyewitnesses said the navy fired rounds of live ammunition at a boat belonging to members of Abu Bakr family, and kidnapped five of them. The kidnapped fishermen were taken to an unknown destination. The navy frequently targets Palestinian fishing boats in Gaza territorial waters, leading to several casualties, abductions and excessive property damage. Also on Wednesday, a number of fishing boats came under Egyptian navy fire near Rafah, in the southern part of the Gaza Strip. In related news, the Israeli army kidnapped a Palestinian near a Kibbutz close to the Gaza border, east of the coastal region, and took him to an interrogation center. Israeli sources said the Palestinian was unarmed. There have been dozens of arrests of Palestinians looking for work in Israel, after they managed to leave Gaza through areas close to the border fence, or while trying to cross.